A giveaway sized bottle of Australian sunscreen, made to protect. Australian made for protection in the Australian sun. These promo sunscreen bottles are the way to go! They offer a broad spectrum protection and even have up to 3 hours water resistance. 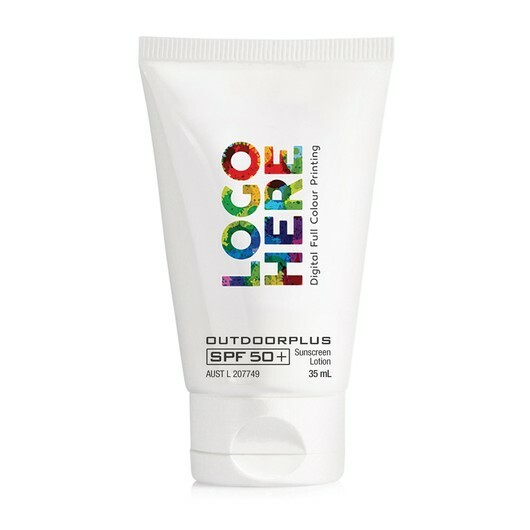 Get a virtual proof and see what your logo will look like on these sunscreen bottles today!